April confirmed that pure electrics are on the rebound, with Tesla's Model S removing the Chevrolet Volt from the second place YTD and BEV share increasing to 61% of the market, up 3% from last month. The rest of the chart is stable, the Renault Zoe exchanged positions with the Mitsu I-Miev family and the tenth place now belongs to the Chery QQ3 EV, highlighting the significance of the chinese market on the world stage. In the Manufacturers ranking, Nissan is number one with 24% share, up 4% from last month, followed by Mitsubishi at 15% share, which was been hampered by batteries issues. Tesla is now #3, leaving Chevrolet in fourth and in the line of fire of Renault, already #4 in April and looking to reduce distances from the american brand. Toyota was surpassed this month by Renault and has to watch his back, because Ford is coming strong and if the Fusion continues to grow its sales, we might see Ford in #6 before the end of the year. Behind these major players, figures become a bit sketchy as one doesn't know for sure how the chinese brands are behaving, but taking in account confirmed numbers, Chery is #8, BYD is stable in #9, Smart is benefiting from placing the Fortwo ED in the production line to climb to tenth place. (2) - Includes Citröen C-Zero and Peugeot iOn. Besides the outstanding (#2) global position of the E/F leader, there's also something to be said about the poor result of the D-segment leader, only eleventh, although it could climb a few positions in the near future. The same can't be said about the poor result (#29) of the Sports Cars leader, the Tesla Roadster, which is already out of production and should be replaced in the #1 spot by one of two low production hypercars: Porsche 918 or McLaren P1. 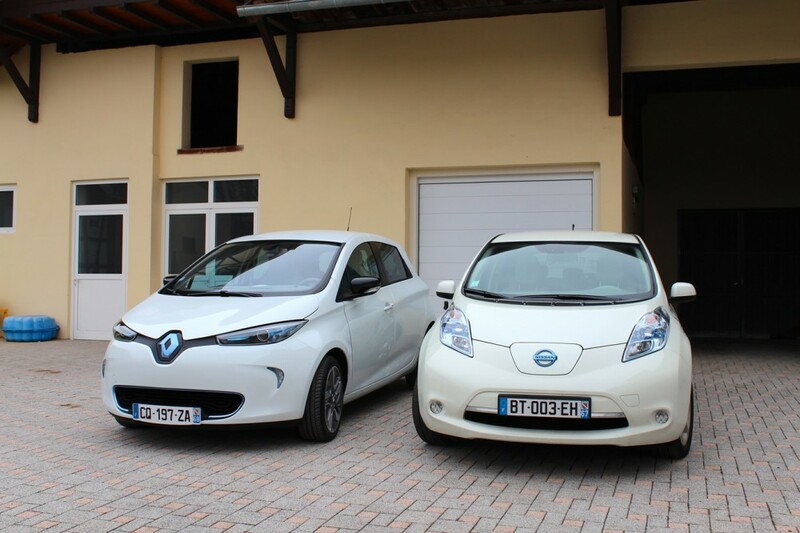 There's a hard fight between the Nissan Leaf and the Renault Zoe for the #1 spot in Europe, with several changes in positions and few units separating them. Right now the Nissan Leaf has more 194 units than the Zoe and with both expecting to increase sales in the next months, it looks that things will continue to be interesting between these two. Behind them, the Kangoo ZE is a comfortable third, followed by the Prius Plug-In and the Renault Twizy. Speaking of Twizy, it's important to register that it ended last year in number one, so a drop to fifth and just 7% share is a matter of concern. It wasn't the only one to drop positions though, as last year's number two, the Opel Ampera, also dropped to #6 YTD and #8 in April. Are these two heading for extinction? Further down the ranking there are also drops, like the Citröen C-Zero down four positions to #10 YTD and #15 in April...Coincidence or not, its sibling Peugeot iOn was 14th in April, it makes us wander if these two franco-japanese EV's aren't on their last breaths, right? For any drop, there's always someone rising, besides the two on top, there are other models climbing the sales chart, like the Smart Fortwo ED, up five places to #7, or the Volvo V60 Plug-In coming out of nowhere (#22) to a respectable eighth place, an important position considering that this is the most expensive model here. By brands, Renault increases by 6% the share it had last year to 43%, followed by Nissan with 20% share (Up from 12% last year) and Toyota with 13%. Editor's note - I've added new figures to this post, for easier identification of this new data, it will be written in blue. With the risk of repeating this title a lot in the coming months, the truth is that the japanese hatchback is improving its performance everywhere, in April the Leaf conquered the monthly leadership in two more countries, Germany and Austria, adding them to an extensive list of countries at number one (Nine, to be more precise). Besides the two countries mentioned above, it's important to say that since the beginning of the year, Nissan added three countries (Denmark, Australia, Estonia) to their #1's list, without losing any of those it had (Norway, UK, Hong Kong, Ireland) in December 2012...Not bad, eh? 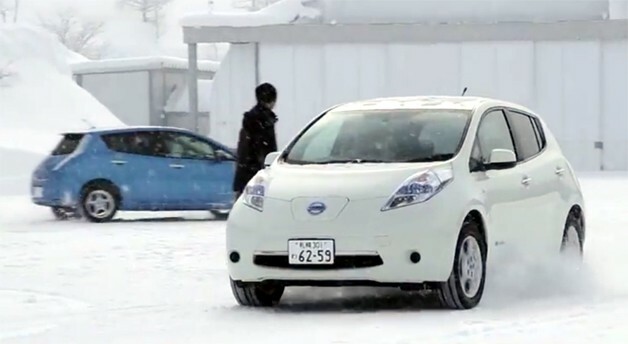 Although with a handful of units, nevertheless it's important to register the landing of the Leaf in two more countries: The first four units were sold in Iceland and the first three in the Czech Republic. Will they the 10th and 11th countries in Leaf's list of #1's? In a different level, the Nissan Leaf improves even further in Norway, in April it was #2 in the global ranking with 3,3% share, that's even before the british built, improved and cheaper 2013 model arrives. Will we then see Nissan's electric car #1 in Norway? All these good performances country-wise contribute to the global leadership of the Nissan Leaf, holding that position since January and allowing a comfortable 10% margin (24% share vs 14%) over the number 2 in the ranking, the Model S.
Of the 7 largest markets for EV's, five (USA, Japan, France, Norway and China) have improved their share, while two (Germany and the Netherlands) saw their EV share decrease. In the US, Tesla's Model S is leader for the second month in a row, an important feat since it has a price tag several thousands above its main competitors, it will be interesting to see for how long can Tesla keep this title. In France, the Renault Zoe earns a third consecutive #1 and represents now 48% of the EV market, something that should only improve in the months to come. While it's normal for this early stage of EV markets to be dominated by one or two models, there are a some countries where things are more fragmented and because of that, more interesting. In the USA, the Model S is leader with 28%, followed by the Volt and the Leaf with 22% and it's this last one, presently #3, that analysts predict to be #1 in the end of this year, so a lot should happen here until then. With four different leaders in four months, the German EV is in "no mans land" territory, with the #1 (Smart Fortwo ED) managing 29% share and 390 sales, followed by three models at 19% with just 21 units separating them. In December things should be a lot different, by that time VW and BMW should be fighting for #1, leaving present contenders way back. In Austria and despite the small figures, things are also leveled, with just 8% share separating the number one (Renault Twizy - 27%) from the third place (Opel Ampera - 19%). 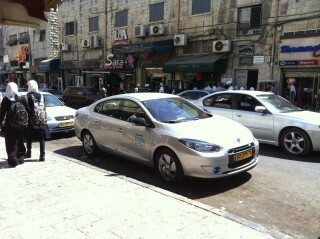 And between them, the #2, the Nissan Leaf is hoping to increase sales and win over the #1 position in the next months. Giving some love to less visible markets, it's possible to confirm the fall of EV share in another euro market, the Czech Republic is down to 0,02% from 0,06% in 2012, but things are looking better elsewhere, in Israel there were 422 EV's sold this year, with EV share improving to 0,58%, up from 0,37% in 2012, making this middle eastern country the 11th largest EV market in the world, ahead of countries like Italy, Spain or Switzerland. A curious thing about this market is the fact that the only electric car selling significantly is the Renault Fluence ZE, which coincidentally is also the only market where the electric sedan sells in decent numbers, thanks to the Better Place deal. For all you EV Sales blog readers from Russia, this month i have figures from their home market, in 2012 there were sold a hundred of electric cars there, 49 of which were Mitsubishi's I-Miev. Will the I-Miev hold on to the russian title in the end of the year? April saw the Austrian EV market showing some pulse, with 45 sales, the best month of the year but still far from the near hundred sales/month it used to register last year. As consequence of this, the EV share is down to 0,09% when last year it ended at 0,30%. Looking at the models chart, three models stand out: like in 2012, the Renault Twizy is #1 YTD but in the April chart the Nissan Leaf won the top spot for the first time and with it climbed four positions, regarding last year, to a brilliant #2 YTD. The Opel Ampera secures a brilliant third place, up 8(!) positions comparing with last year chart and already selling more units than in the whole year of 2012 (10 units), this is a rare bright spot for the Opel Plug-In, which is watching their sales go down everywhere. Stumbling Dropping in the chart are the Kangoo ZE and Fluence ZE, both tied in number 9, when last year they were much higher (#3 and #4 respectively), but despite these weak points, Renault is still the #1 brand here, with 36% share. Thanks to the Endesa-Mitsubishi deal and the new PIVE incentives, the spanish EV market reached 124 units in April, it was a much needed shot in the arm, making this the best sales month since last September. Thanks to the deal with the spanish electric company Endesa, the Mitsubishi I-Miev holds firmly the #1 spot, with 101 cars sold YTD, followed by the Renault Twizy with 54 sales and in third, benefiting from April's generous discounts, comes the Nissan Leaf with 43 sales. In April Renault sold its first 21 Zoe's, an important recruitment for the french manufacturer to recover the #1 spot in the model and brand charts. This year the german EV market is eventful, with already four different leaders (Smart Fortwo ED in January, Citröen C-Zero in February, Renault Twizy in March and Nissan Leaf in April) and a new YTD leader, the Smart Fortwo ED, looking to recover the #1 place it had in 2010. This month the Nissan Leaf scored for the first time the best selling trophy, with a personal best 191 units, followed by the Twizy with 106 units and looking to recover some positions it had lost during the Winter (It is now in third place YTD, behind the #1 position it had last year). Dropping 3 places to #5, the Opel Ampera is losing steam, just like its Volt cousin, which still has his scorecard in blank. The Renault Zoe scored a respectable #4 in April and now is #5 YTD, something tells me that the french supermini is heading for the top three spots in the coming months. By brands, Renault has a 22% share, down from 56% in '12, losing the #1 place to Smart (29%). Another good month for the french EV market, with 1.438 units sold and market share at 0,84%. In the models ranking, the Renault Zoe is leading for the third consecutive month, representing 48% of the market. The utilitarian Kangoo ZE is a consistent second and the Nissan Leaf is far behind in third. 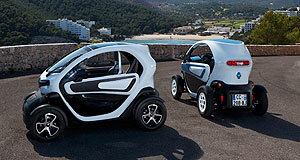 On the losers side, the Renault Twizy was fourth in April and remains #5 YTD, three positions behind the brilliant second place it had last year. Brandwise, Renault absolutely dominates the market with 82% share, with Nissan in a distant second with just 6% and Bolloré third with 4%. In fact, the Renault-Nissan alliance owns 88% of the french market, something unparalleled in major EV markets. Unlike their northern neighbors, Belgians are a practical bunch when it comes to cars, preferring utility to any statement-through-cars, proof of that are all the passenger Citröen Berlingo's and Renault Kangoo's around, with these kind of vehicles ranking regularly in the sales charts. Are they into electric cars? Do they think EV's are worth it? Is it easy to see plug-in cars on the streets? Let's find out. Renault Twizy - With 521 units sold, it's the best selling EV in Belgium, the french moon lander quadricycle is still a rare sight, but they fit right in the well regarded historic neighborhoods of cities like Gent or Brugges. Speaking of Gent, while talking with students from the local university, they showed interest in electric cars, but said that high prices and small range were major turn offs. 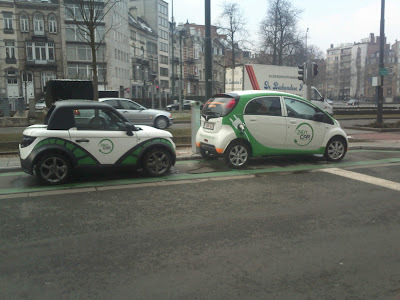 Mitsubishi I-Miev family(1) - If we count all three models, this would be the best selling car, but i only saw one, it belonged to Zen Car, a Brussels based car sharing company, it was at a charging station (see picture above). People here see car sharing as a positive thing, saying that it's even more eco-friendly for urbanites than just buying an electric car, referring the limited availability of charging stations as an important factor for the slow sales of EV's. Opel Ampera - I saw a grey one on the Gent-Brussels highway, after trying to take a picture, i asked my ride if he knew that the Ampera was electric, to which he replied: "Electric, eh? Eco-follies, that's what it is!" The rest of the electric cars are far behind the japanese hatchback, which grabs for himself a gigantic 74% share of the market, but nevertheless there are some points to be noticed, the Prius Plug-In is up two spots to #3 and despite production constraints, the Volvo V60 Plug-In shows up in a brilliant in #4, right ahead of the Kangoo ZE, another model improving its position in the ranking. Finally, with 544 units sold, the electric car market represented 3,89% of the total norwegian market in April, improving the YTD share to 3,69%,which is more than half point above the 3,12% that EV's had in the in the end of 2012. The UK market was one of the markets where EV makers had high hopes, in 2012 there were sold 2.971 electric vehicles and with a 0,15% share, it was a decent performance, making it the #8 largest market for this kind of vehicles. Things aren't so rosy this year, in the end of March there were just 656 EV sales, with the respective share dropping to 0,11%, a fact only made worse by the 6% rise in the UK global market. Models wise, the first three keep their status quo, with the Nissan Leaf solid in #1, followed by the Prius Plug-In in #2 and the Vauxhall Ampera #3. Outside the podium, the Kangoo ZE is up two spots to #4, just like the Citroën C-Zero (#6) and the Chevrolet Volt (#8). Finally, the Renault Zoe is still in a shy #9, it's to expect that the french supermini should climb several positions in the next months as the production gets in full steam. After several record months, the swedish EV market slumped to just 97 sales, far from the 277 units recorded in February, this when the total market in Sweden finally got a positive month (up 4%). In the models ranking, the Volvo V60 Plug-in stumbled from 117 units to just 23 dropping to #2, with the Prius Plug-In recovering the monthly #1 spot. 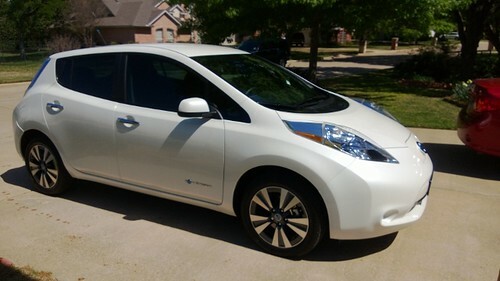 The Nissan Leaf sold 22 units, leaving it stable in #3 and more than doubling its sales regarding last year. Further down, the Renault Kangoo ZE is improving sharply its performance, already selling 64 units when last year by this time it had sold only 6. 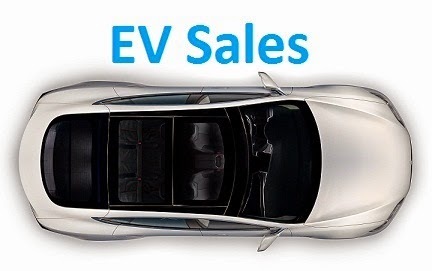 With a month delay, i can now report on the japanese EV market, in March there were 3.197 plug in sales, down 40% regarding last month, leaving the market share to be under the 1% share at 0,77. The responsible for this drop was the off month of the Nissan Leaf, down to 676 units when the month before it had sold 1.455 cars. With another good month (1.719 sales), the Outlander Plug-In secures a second monthly win and the #1 post YTD. Finally, the Prius PHEV career has hit the brakes and dropped to last place. Like many things in life, numbers can be deceiving and April EV sales in Canada are an example of that, if at first sight a plug-in share of just 0,12% seems discouraging, in reality EV's are improving at a 25% rate in a stable market (up 1%), so the road is long but it is getting done. Looking at the models ranking, it looks like it was another good month for the Chevy Volt, now alone yet again in #1, but the truth is that in the same month last year it had sold 76 units, resulting in a 16% drop. On the other hand, the Nissan Leaf dropped to second, 16 cars behind (48) the Volt, but this result is a 85% improvement over last year, contributing to a 117% YTD growth, so it looks that this year GM's plug-in car has real competition in Canada. The other two contenders switched their usual positions, with the I-Miev in third and the Prius last, although YTD Toyota's Plug-In still has a comfortable margin over its fellow japanese competitor.